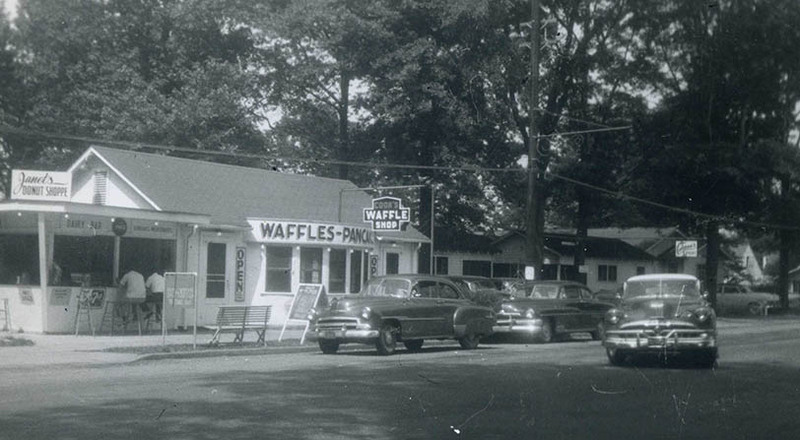 Cook’s Waffle House was building during the World War II years using rough-sawn lumber and Masonite for the exterior walls. 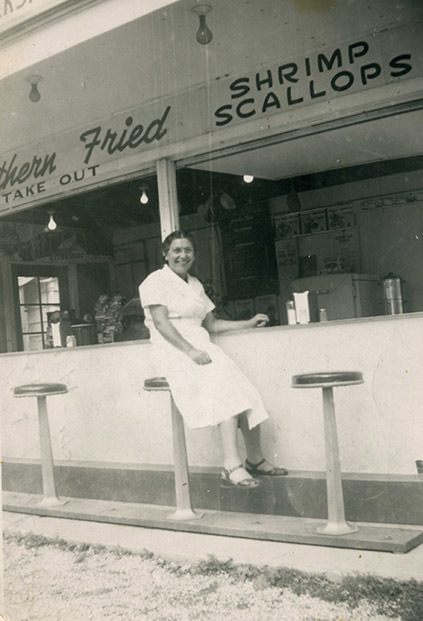 The building was 24×36 feet and had seating for about 28 people around a C-shaped counter. The cooking area had two vintage, small grills and four double waffle irons; meals were prepared in full sight of the patrons. 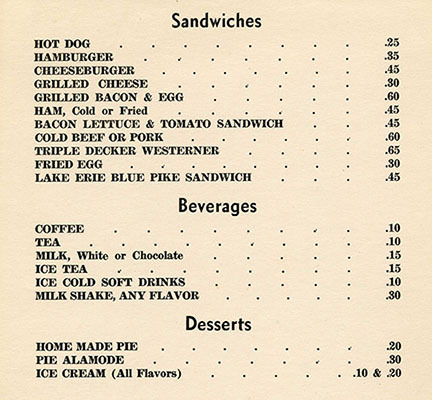 Giles Cook, who owned The Stand next door to the Waffle House and the Eagle Cliff Hotel across the street, was proprietor. He leased it to a Mrs. Wiseman until the 1955 season, when she decided not to renew the lease. 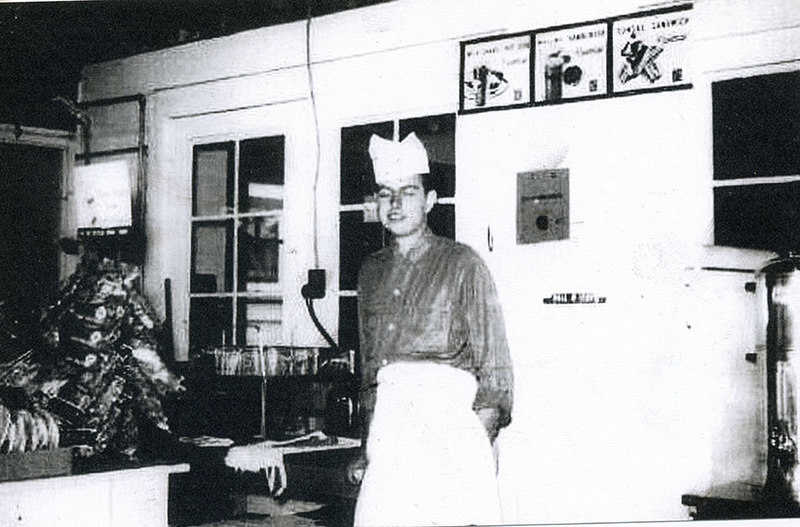 Louis DiFabio signed a lease with the Cooks and ran it and his LAD’s Grille next door. DiFabio eventually purchased the property and it became DiFabio’s Restaurant. 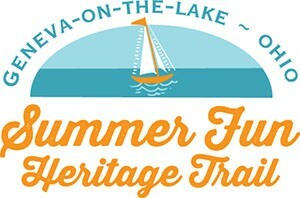 The recipes that Wiseman used for her waffles and pancakes were guarded secrets and part of the assets of the business. Lou’s mother, Josephine Polombo DiFabio assisted her son with the Grill and Waffle House and eventually lived in a cottage on the property. 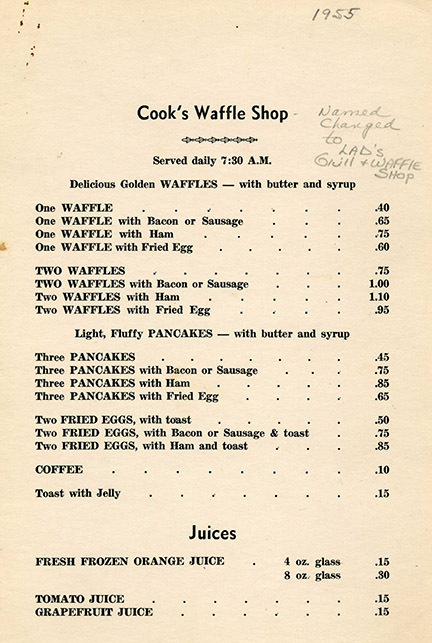 A menu from Cook’s Waffle Shop, the first year that Louis A. DiFabio operated it.